Sometimes it’s hard to choose how you’re going to spend your 10 day vacation in a new country. If you’re anything like me, then it will never seem like enough time, because you want to see EVERYTHING. 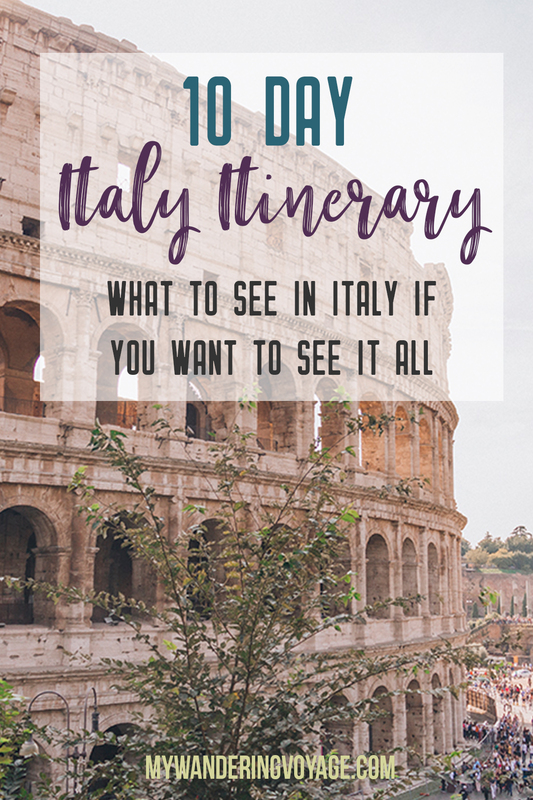 When I created my 10 day Italy itinerary, there were a few places I absolutely wanted to see, as it was my first time in this classical country. Rome and all of its essential sites were on my list, so was Venice, Florence, Tuscany, Amalfi Coast, Pompeii, and as many UNESCO world heritage sites that I could find. There were sites I had to leave off the list, like Milan, Verona, Sicily, San Marino among others. But I was able to fit a jammed pack vacation of the top sights of Italy in 10 days. Woah, woah, woah. Did you just say that you can do ALL of that in 10 days? No way. You can also stay right in the heart of the city with a Home Away vacation rental. The apartment I rented was fabulous and right near the Termini. YES WAY! 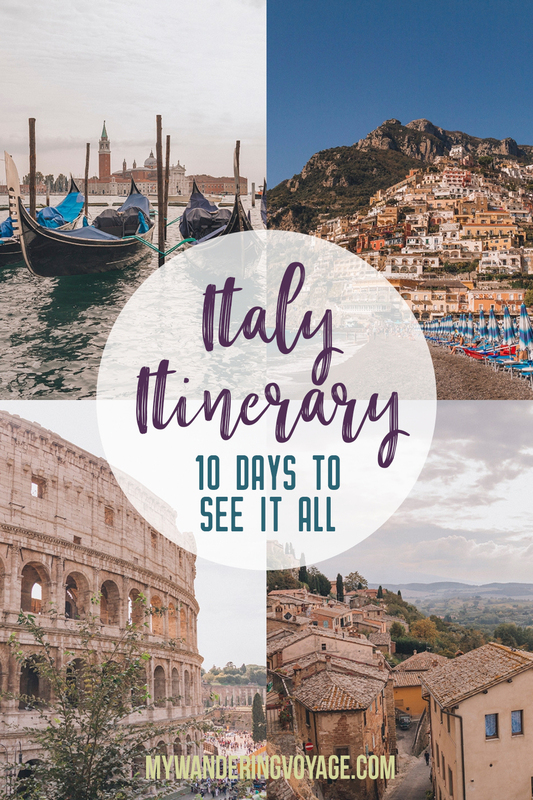 If you’re up for long days, catching up on sleep during the travel times and going on a couple of tours, then absolutely yes you can see all of this in a 10 day Italy itinerary. With so much to see in Italy, it can be hard at first to prioritize the places you want to see. The first step is to determine your “must see” list. Figure out how many days you want to go pedal to the metal. If you’re more into having a relaxing holiday, then this 10 day Italy itinerary won’t be for you. If you’re gung-ho for getting up at dawn and seeing the most beautiful places in Italy, then let’s go! Those of us who work full-time have limited vacation days – meaning every day taken for a trip is precious. 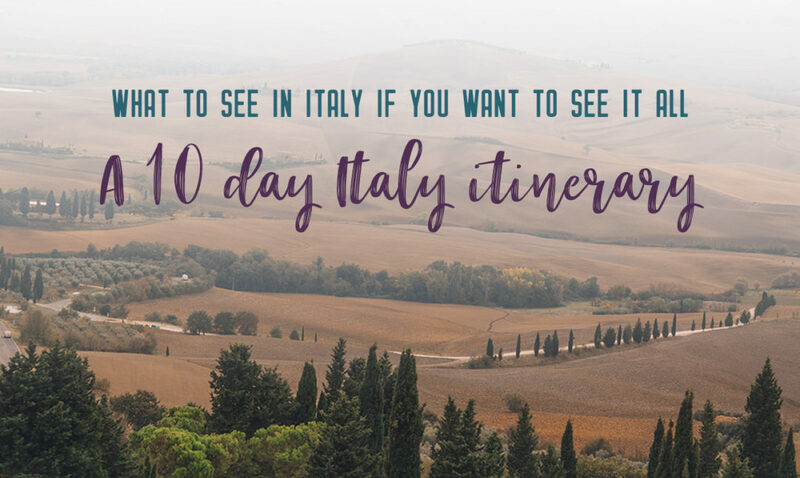 This 10 day Italy itinerary accounts for travel time from North America, day trips, and some relaxation time. It lets you see many of the tops sights in Italy, including Venice, Rome, Florence and the Amalfi Coast. 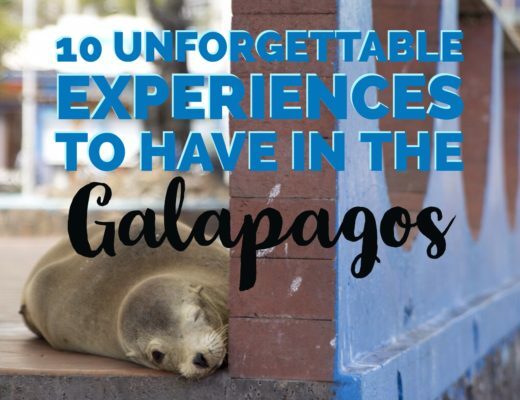 Ten days is more comfortable to spread these excursions over than seven or eight, but if you have more time, then even better, you’ll be able to see even more! The key to having a successful Italian holiday in 10 days is booking ahead. From skip-the-line tickets to places like the Colosseum and Vatican to tours that will do the work for you – like a wine tour in Tuscany. Booking ahead will save you the headache of standing in a line for more than 20 minutes and keep you from being disappointed if you can’t get in. Ah, the ultimate question – When should you go to Italy. Italy is a warm country, situated on all three sides by the beautiful Mediterranean Sea. No matter when you go, you will be at the mercy of the weather. Generally speaking, April to May and mid-September to October are the better months for travelling to Italy because it can be cooler. Summer in Italy can be scorching. I was there in mid-October. And while I was wearing pants, I could have easily worn shorts as it was about 25 to 27 degrees and sunny the whole week. Spring and fall also tend to be better months to travel as it’s the shoulder season, meaningless crowds, more availability, and sometimes better prices. I’m convinced my trip to Italy was #blessed for three reasons. I had perfect weather. It drizzled only on one day, but just for a couple of hours. The day I left, Italy was slammed with one of the worst storms they had seen in a while, flooding the Rome metro station and delivering so much hail it shut Rome down to clean up. The storms lasted for nearly a week. One of the metro stations in Rome collapsed the day after I left. (I used the metro system quite a bit while in the city). Luckily no one was severely injured. Venice experiences Acqua Alta – high water – from time to time. High tides, wind and waves cause the entire city to flood in over 80cm of water. A few days after I left, Venice experienced the fourth worst Acqua Alta in history, reaching a height of 156cm – that’s nearly waist high! Acqua Alta between October and February, but not always. Before you leave, make sure to check out here and here. A Rome – the eternal city. The city of magic, history and passion. Any trip to Italy would be incomplete without exploring Rome. On day one, get oriented with a good map of the city. Jump on a Hop on Hop Off bus to get you from major point to major point. Most offer serious discounts if you book after 1pm. For the first day, visit Campidoglio, Basilica di Santa Maria in Ara Coeli and the Vittorio Emanuele II Monument. Next hit up the Ponte Sant’Angelo (St. Angelo Bridge) and marvel at the Castel Sant’Angelo – a second-century castle built for Emperor Hadrian as a mausoleum. You’ll also want to venture down the Via dei Coronari – a pedestrian-only area that is one of Rome’s most picturesque streets. 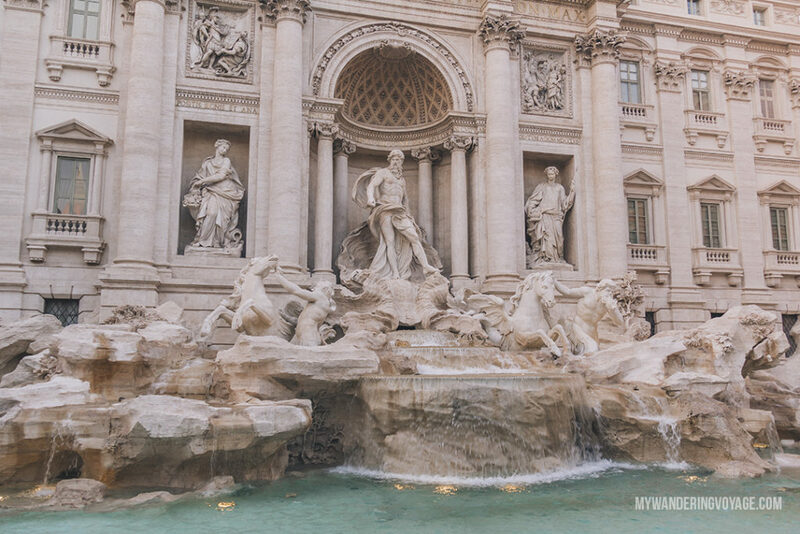 Next check out the magical Trevi Fountain – likely the most well-known fountain in Rome. Watch your belongings here as it can get hectic, which makes for easy pickpocketing. If you want to see the Trevi without the crowds, you’ll have to go first thing in the morning – at the crack of dawn. Any other time of day and the fountain stays crowded. Lastly, check out the Fontana del Tritone in Piazza Barberini, a baroque fountain of the god of the sea, Triton. By day two, you should be oriented with the city somewhat, so spend the morning at the Vatican. Here is one place you’ll want to splurge. By getting in with a tour and a skip the line ticket, I saved myself hours by going in before it opens to view the Sistine Chapel and St. Peter’s Basilica. 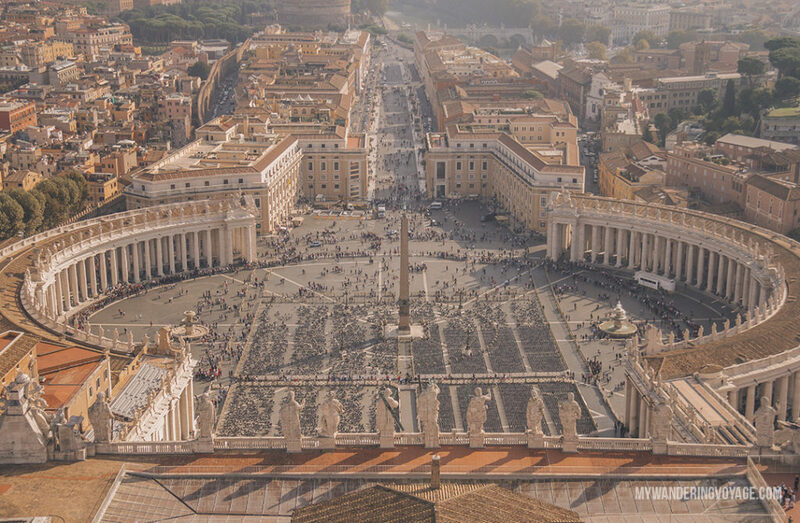 While our tour was only two hours and sped through the Vatican Museums, there is a large variety of tours to choose from based on what you would like to see. If you are into art and history, the Vatican Museums are for you. If you want to see the largest Catholic Church in the world, then you’ll want to spend time in St. Peter’s Basilica. If you want to see Michelangelo’s stunning masterpiece, the Sistine Chapel, then make sure to do so. You won’t be able to take any photos here, and they are very strict about it, but it’s something you won’t want to miss. If you do get an early morning “before it opens” tour – just don’t be fooled that it will be empty. There are dozens of tour guides taking groups in before it opens to the public. Once you’re in, you must climb to the top of the dome to get the most breathtaking view of the city. During the afternoon take another walking skip-the-line tour of the Colosseum, Palatine Hill and Roman Forum. This is the birthplace of Rome. 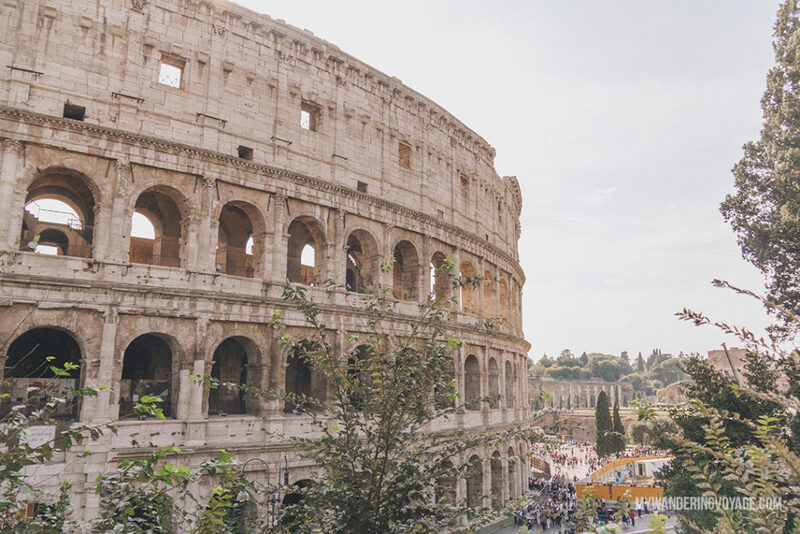 You’ll see how centuries and millennia have changed how Rome was built and used and you’ll get a full history lesson of the Colosseum, the dark and twisted monument to Rome’s past. On day three, which was at the end of my trip. 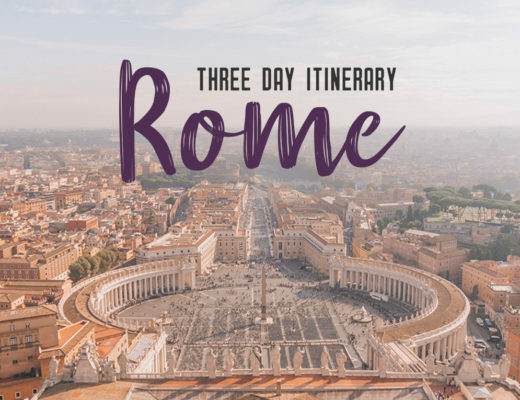 You’ll want to catch everything you missed about Rome in the first two days such as the Spanish Steps, Piazza Navona, Trajan’s Market, the Pantheon and all the gelato you can stuff in your face. Take another half day to get lost in the beautiful streets of Rome. Around every corner, you’ll find yourself staring at some new beautiful building. Seeing UNESCO World Heritage sites are important to me – I’m kind f a history nerd. UNESCO sites are the most important natural and cultural places in the world; therefore, they are the best places to visit when travelling to a new location. That’s why I wanted to work in a half-day trip to Tivoli. Tivoli is a mountainside town about 20 minutes outside the city of Rome. While there are dozens of mountain towns surrounding Rome, Tivoli is unique for three reasons. Not only is it the site where travertine was quarried for the construction of many of ancient Rome’s monuments, but it is home to Villa d’Este and Villa Adriana – two UNESCO world heritage sites. The Villa d’Este is a palace surrounded by the most stunning gardens, fountains and grottos. 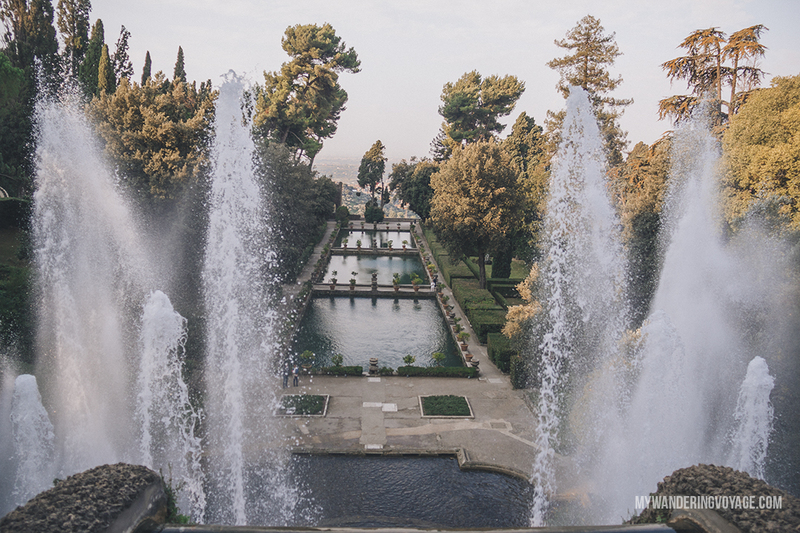 Home to the Este family who were cardinals in the area, the place boasts hundreds of water features in a sprawling garden, reminiscent of the Hanging Gardens of Babylon. The Villa Adriana – or Hadrian’s Villa – is an archaeological complex of the estate of the Roman Emperor Hadrian. Constructed in the 2nd century, the complex was the summer home of the emperor. The estate is three times larger than the Vatican and houses the ruins of the palace, thermal baths, fountains, gardens, theatres and more. Venice is 3.5 hours by high-speed train from Rome. Catching the first train in and the last train out means that you can spend an impressive amount of time in Venice for a day trip. 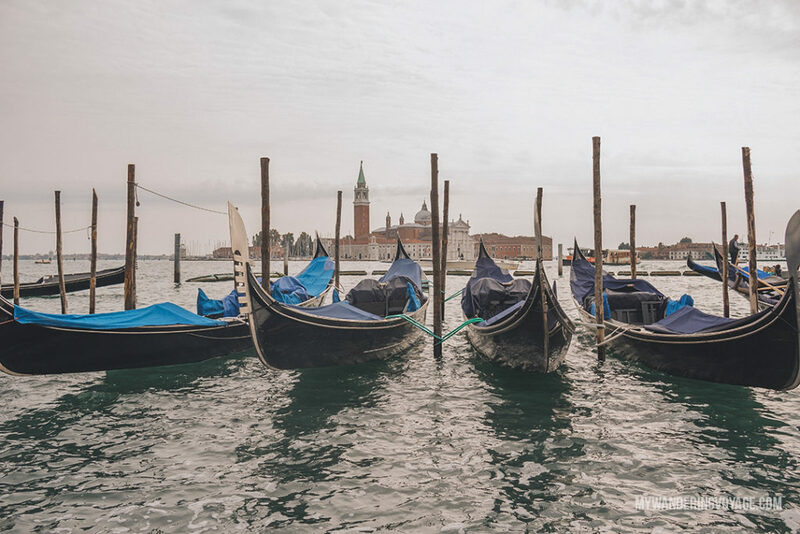 The tops sights to see in Venice include Piazza San Marco, Basilica San Marco, Doge’s Palace, Bridge of Sighs, Ponte di Rialto, Basilica di Santa Maria della Salute, and the may twisting streets that make up the island. Take in a delicious meal at one of the hundreds of restaurants along the Grand Canal or enjoy a soothing journey among the canals by gondola. Be sure to check out Libreria Acqua Alta to find the best souvenirs of the city. Only 1.5 hours from Rome by high-speed train, Florence is a great place to explore in a day. Florence is the capital city of the Tuscan province and is home to the birthplace of the Renisannsse. From its iconic sights like the Duomo, Palazzo Vecchio, Ponte Vecchio, Uffizi Gallery, and, of course, Michelangelo’s David, Florence is an art-lover’s dream. 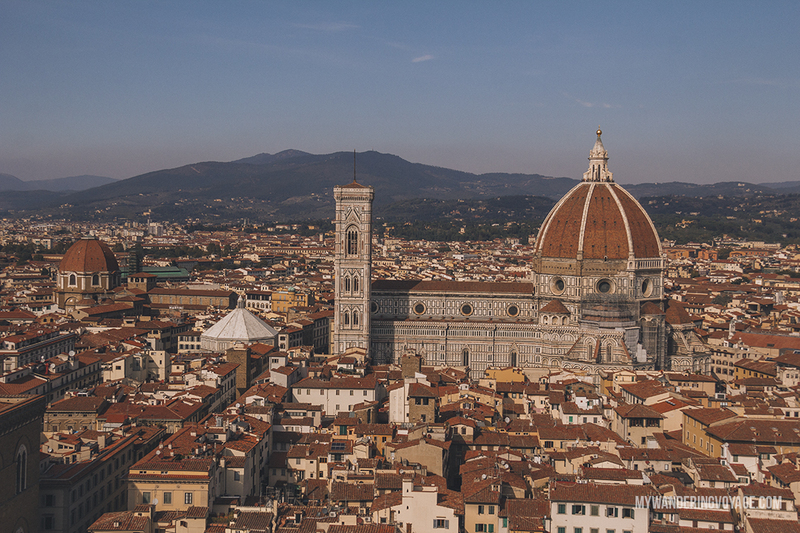 A lot of famous people called Florence home, such as Michelangelo, Galileo, Dante, Da Vinci, Botticelli, Donatello, the Medici Family, and the list could go on. As you wander through the streets, be sure to stop and one of the hundreds of artists’ booths to peruse their artwork. If there’s ever going to be a long day, it will be this one. 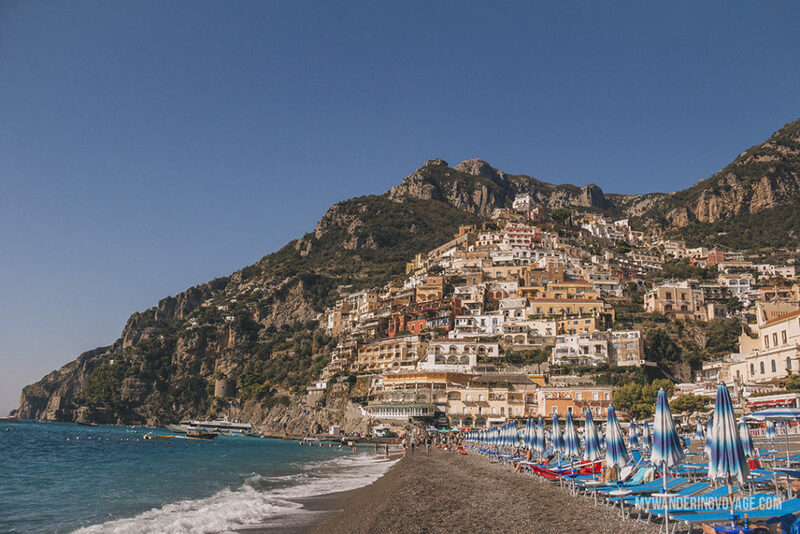 Amalfi Coast, the famous coastline featuring a UNESCO world heritage landscape dotted with stunning cliff-side towns like Positano, Amalfi, Atrani, Maiori, Sorrento, and more. Let me warn you, a day trip to Amalfi Coast, including Pompeii will leave you with VERY little time here. I stopped only in Positano, and I know that I desperately need to go back to explore of this majestic coastline. Positano is one of the most picturesque towns in Italy. Its colourful houses perch precariously along the cliffs. Wander the streets to the beach for the most breathtaking view. Take time to eat delicious gelato on a terrace overlooking the town, and check out the linen shops that line the streets. In Pompeii, you are thrown back in time. If you went to grade 5 – at least that’s when I learned about Pompeii – you’ll know about the terrible fate that faces the city in 79 AD when Mount Vesuvius erupted, preserving the city in ash. The haunting sight had given researchers unprecedented access to the lives of the Roman Empire before its fall. The UNESCO world heritage site has allowed us to take a glimpse into the everyday life of the people of Pompeii. It’s a sight you do not want to miss. You might also like: Where to stay in Naples. 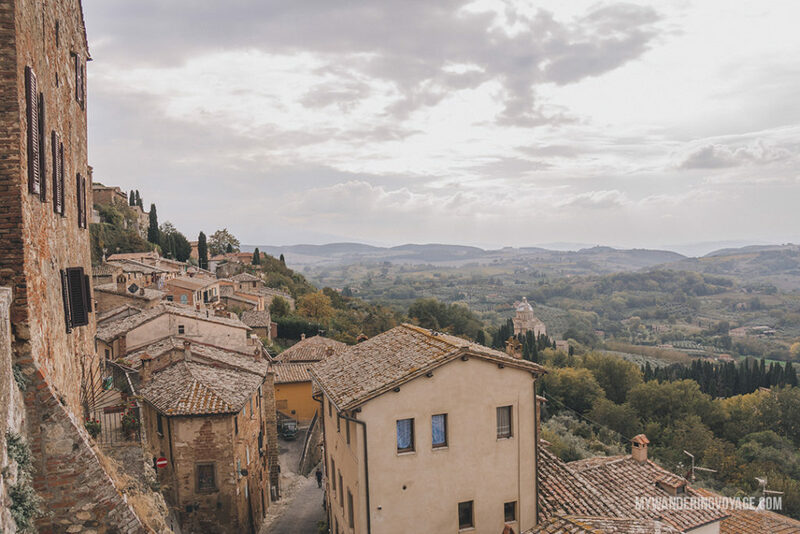 Wine and Tuscany go together like peanut butter and jam. There’s no better way to explore the Tuscan countryside than through a wine tasting tour. 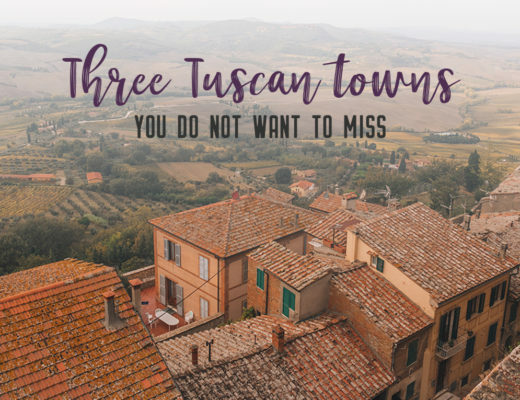 Two towns you don’t want to miss are Pienza and Montepulciano. Situated in the UNESCO world heritage landscape of Val d’Orcia, these two towns are full of rich Tuscan history and surrounded by beautiful vineyards. Pienza was the summer home of Pope Pius II, where he transformed his birth town into a Renaissance village after he became pope. Here you can visit the Piazza Pio II and Palazzo Piccolomini di Pienza for the best views. Stop at Buon Gusto Gelateria for the BEST GELATO IN ITALY. I’ll never forget the sound of What is a Youth, the theme from the 1968 version of Romeo and Juliet (filmed in Pienza!) coming from the museum as I strolled through the streets. Montepulciano is famous for a whole other reason: food and wine. From the delicious artisan meats and cheese to the noble wine – Vino Noble – this hilltop town is one of the most beautiful. Every year participants from families in the area compete in a barrel race, where teams of two roll an empty wine barrel up the hilly town to the Piazza Grande – about a kilometre and a half. Be sure to check out the Porta delle Farine, Piazza Grande, Cathedral Saint Mary of the Assumption, and Piazza di Santa Francesco for the best views. Any time, no matter how short or long, in Italy is worthwhile. This ancient country has something for everyone. Hopefully, you’ll find this 10 day Italy itinerary helpful for your next trip to Italy.